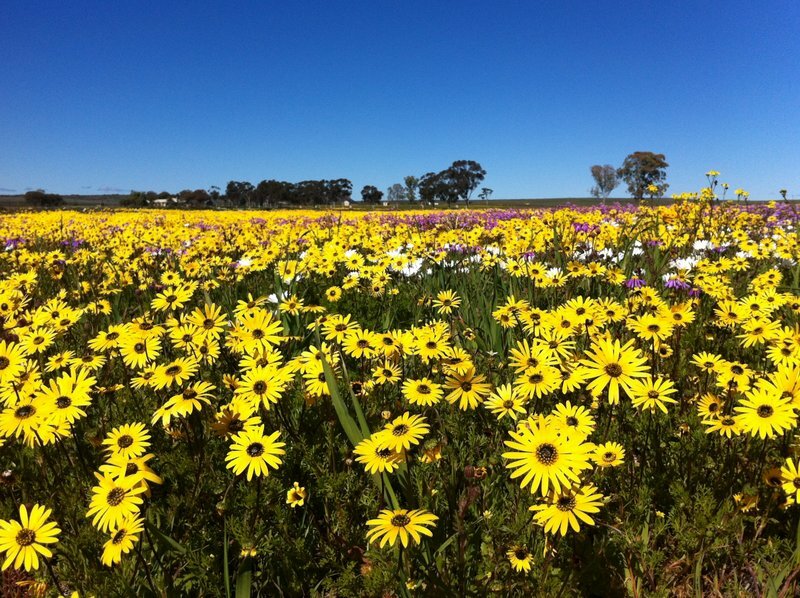 Now, and the next few weeks, is the time to plan your visit to the Hantam NBG and the Nieuwoudtville area! The daisies are looking at their best and the bulbs are just starting to flower and should, weather permitting, be flowering in masses towards the end of August. 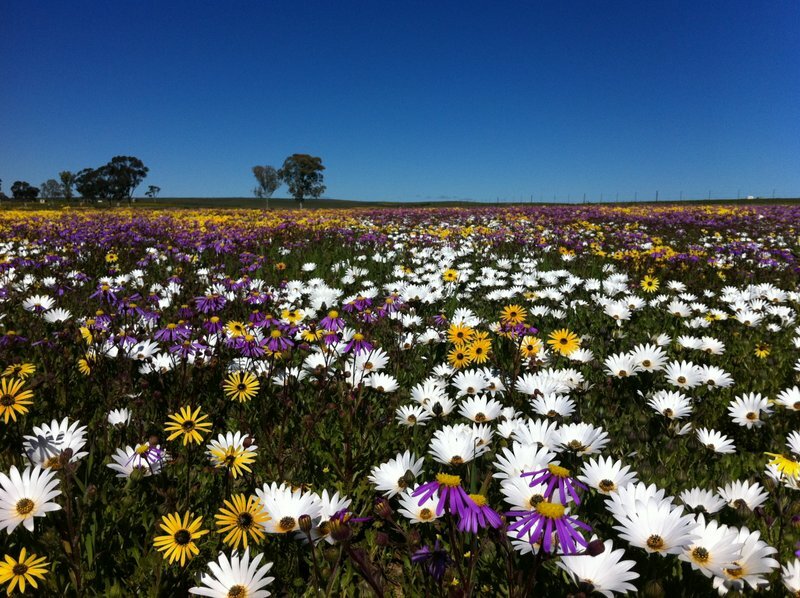 Some of the species flowering at the moment are the: Ursinia cakilefolia, Senecio cakelifolius, Dimorphotheca nudicaulis, Dolichos decumbens, Hesperantha pauciflora, Romulea sabulosa & R. hirta, Ixia rapunculoides, Nemesia cheiranthus, Spiloxene serrata, Arctotis acaulis, as well as the yellow Bulbinellas, Felicias and 3 different Oxalis species. Many more species will flower in the weeks to come! Quiver Tree Forest in Bloom! Nieuwoudtville, meer as net blomme.